the star trilogy "Orphaned twice by the time he was nine, he was living on the streets and did not even know his own name. He was not allowed to set foot in the one place he was determined to find work. To complete the disaster of his young life, he was in love. The object of his affections was Star, an immense, emerald-green dragon. 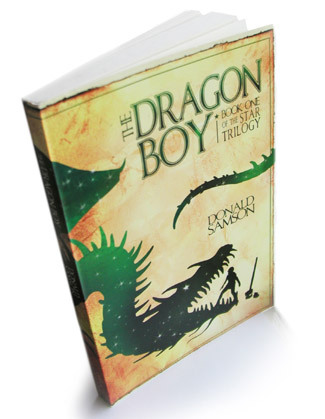 But here good fortune finally smiled upon him: Star was a Luck Dragon..."
This beginning to the Star Trilogy has quickly become a favorite. And now, be sure to check out BOOK TWO!